Is the Sweet Potato Casserole your favorite part of Thanksgiving dinner? Do you smile when your favorite restaurant offers sweet potatoes as a side dish, or even sweet potato fries? 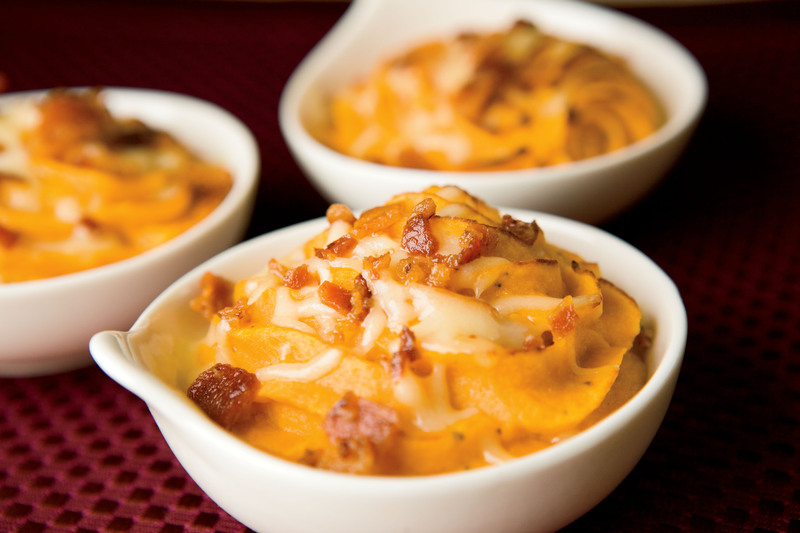 If you have a love for sweet potatoes, you’re in luck. Not only are they a delicious addition to any meal, they’re also packed with tons of health benefits. Don’t peel that potato! When eaten with the skin on, sweet potatoes are a good source of fiber. Sweet potatoes are actually roots, unlike regular potatoes which are underground stems. Sweet potatoes can be eaten in many ways including baked, steamed, boiled, mashed, microwaved, fried, pureed, raw or juiced. 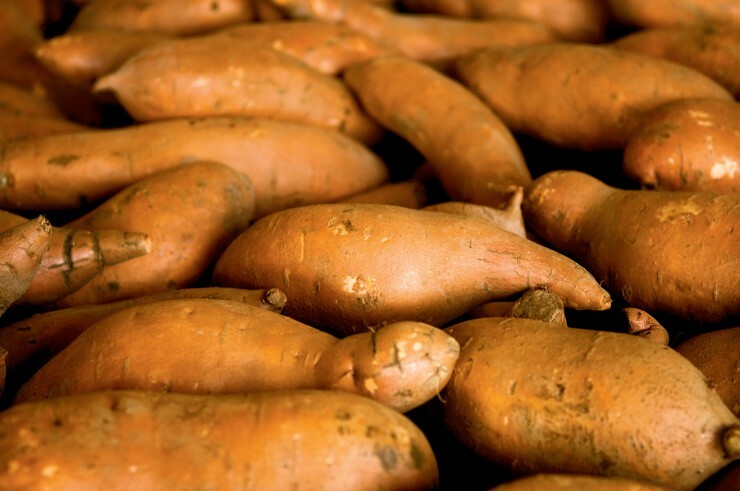 Sweet potatoes are high in beta carotene, vitamins E and C, iron, potassium and vitamin B-6. North Carolina’s official vegetable is the sweet potato. The state is also the leading sweet potato producer in the United States. Sweet potatoes are a great way to eat healthy as they are fat- and cholesterol-free. Sweet potatoes are considered a “superfood” and pair perfectly with poultry, pork, beef, lamb or seafood. Sweet potatoes can be substituted in recipes that call for apples, squash or white potatoes. First, it’s important to know that sweet potatoes do not like cold weather. They will not survive. Make sure you live in an area with warm weather and warm soil. The soil needs to be well-drained and “airy” (they grow well in sandy soil, too). Plant the sweet potatoes about a foot to 18 inches apart, giving plenty of room. You’ll need around 3 feet between each row you plant, so the vines can run. It doesn’t take long for the vines to run, so make sure you weed the area early. Once the plants are in the ground, you’ll want to mulch and fertilize your soil. This helps keep the ground warm and healthy while the roots are establishing themselves. If it’s a dry summer, give the area a good, deep watering at least once a month to keep them healthy. Once the vines start to turn yellow at the end, it’s time to harvest. You’ll need a shovel or digging fork for harvest. Find the end of the root, dig around to loosen the soil, then use your hands to gather the sweet potatoes out of the ground. Makes sure to harvest your sweet potatoes before the first cool front or frost to avoid losing your crop. Straight from the garden, sweet potatoes aren’t really very sweet. They need to sit and “cure” in order to gain their rich sweet flavor. Keep the freshly dug, unwashed potatoes in a warm, dry and shaded place for about 10 to 12 days. Don’t refrigerate or store below 50 degrees – just make sure the area is dry. These potatoes will keep fresh for about six months if stored correctly. Now, you have access to the the “superfood” for any meal. 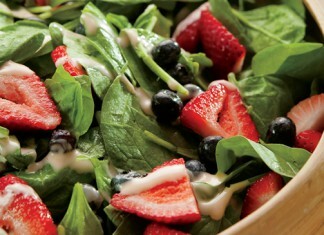 Did you know that California is the top spinach producing state? Learn more about this nutritious leafy green.